In today’s new wave of hip hop – full of music with insane autotune, mumbled rap, and carefree styles – Ad Libs are the icing on the cake of any song. If you didn’t already know what ad libs are – they’re the background vocals filling the open spaces of a mix, such as Travis Scott’s iconic “It’s Lit,” or a classic Migos “skrrt,” or a whispery “GANG” from Chief Keef. Certainly, ad libs can also be sung. Case in point, they’re fun and spice projects up. For an artist behind the mic, recording ad libs is often pretty wild and spontaneous – which is how it should be! However, for the engineer, there is a duty to correctly record the ad lib performance and then mix it using proper processing, and of course, cool effects. If the ad libs aren’t hot, the mix won’t come across as exciting to the artist and fans – so its good to have a few ad lib tricks up your sleeve. Recording the Ad Libs: Ad libs should be recorded once the lead vocal and any stacking is complete. Some artists prefer to record their ad libs section by section, while others record them in one or two takes across the entire song. 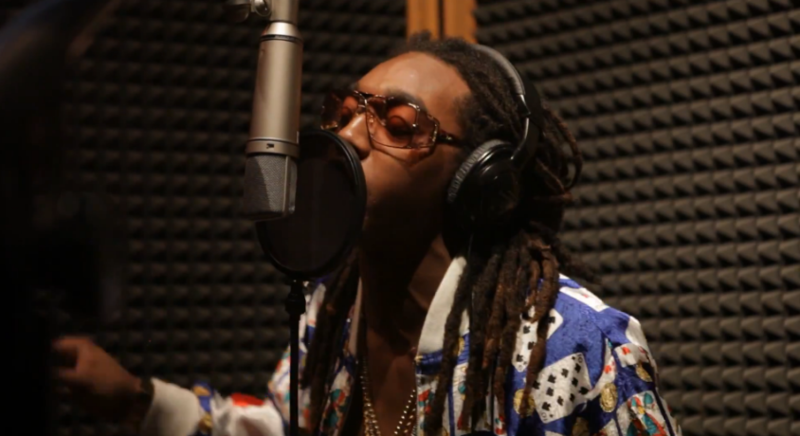 Many rappers will record several random ad libs and then ask for the weakest to be muted. Other artists may maintain a simple approach and not record any at all, and others record an extremely excessive amount – literally. For a group like the Migos, the ab libs function as a focal point of the recording, giving identity to the music. Since ad libs are very dynamic, its important to have the artist to back up from the microphone if he or she is planning on being extra loud. Be sure to lower the gain on your preamp to avoid clipping, which will result in needing to re-do a take. If the take was improvised, the artist will not want to re-do his performance! This isn’t a joke either – I’ve been in the studio plenty of times where the artist’s vocals are mellow across the board, and then it’s an all-out screaming fest when tracking the ad libs. Ad-libbing artists really can be full of surprises. Mixing the Ad Libs – Plug-Ins, Effects, & Finesse: While ad libs may capture lots of attention, they still should be leveled in the background of a mix, far quieter than any lead vocals. Using your ab lib track to repeat the phrases of a chorus often is tasteful, in addition to panning ad libs from side to side with automation – creating movement and wideness. Keep in mind, any hard panning will need to be undertaken with proper gain adjustment. Ad lib effect tracks are also ideal for intros and outros containing dialogue. 1.) Initial Compression: First things first, if we are going to create telephone filter ad libs, the vocals are going to need a healthy amount of compression. A bouncy squash from the Waves R-Vox always does the trick. 2.) 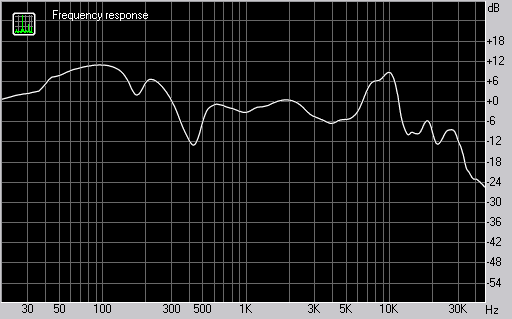 Filter EQ: A basic parametric EQ works perfect for creating the filter we need. In addition to the low and high pass filters above, a boost to the remaining mid range is what truly brings out the radio, telephone-like vibe. 3.) Delay: A slightly noticeable echo almost always compliments the telephone filter chain. Instead of creating a send, I place the delay third in the chain and adjust the MIX parameter to dial in wetness. Eighth notes will do the trick. 4.) 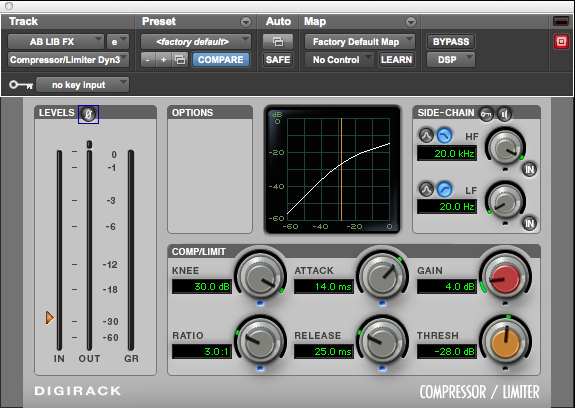 Lastly, apply additional compression for tone and control..
A second compressor may be useful for optimal dynamic control. Nothing crazy here! The Waves H Delay has a handful of stereo presets which work like a charm for ad libs. The “Ping Pong” setting is one of my favorites. Slap delays also can work on certain styles of music. Always beware of gain boosts on various presets, and make sure the noise, or “analog” setting in the lower right is set to off! The Waves metaflanger works great for creating ambient textures; I’ve always thought of the sound of this plug in as a spaceship blasting off. 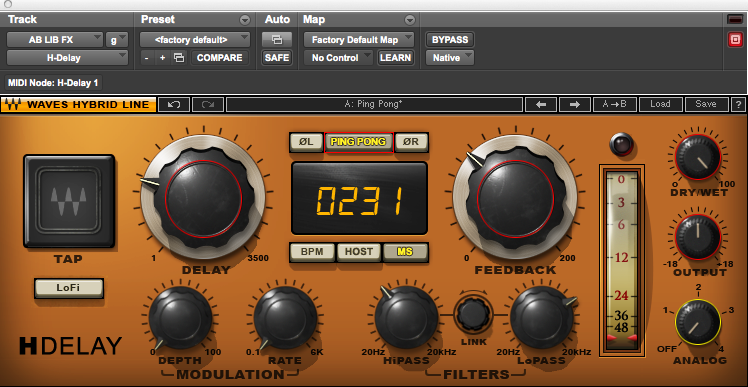 The metaflanger works great on atmospheric ad libs, and even on background belts for singers. Additionally, the “SYNC” parameter (engaged in the image above) allows the processor’s rate to sync with the session tempo. 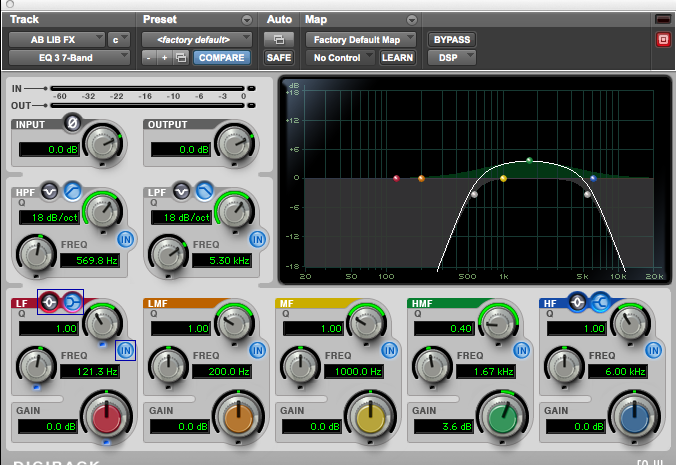 Moreover, the metaflanger works great on ad libs in tandem with reverb, or even distortion. The metaflanger really brings out the spaciousness of reverbs with long tails, which is why I usually place the metaflanger after any reverb in the ad lib chain. Likewise, the metaflanger also sounds best behind any distortion. The one thing to watch out for when using the metaflanger is build up of unwanted noise from processed highs. In general, a plug in like the metaflanger is most flattering by pleasantly smearing the upper mid range of a vocal, which is why it compliments the telephone filter. 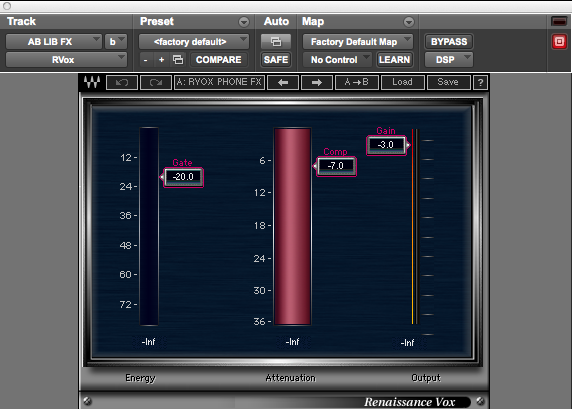 More often than not, placing distortion before the phaser or flanger sounds best. 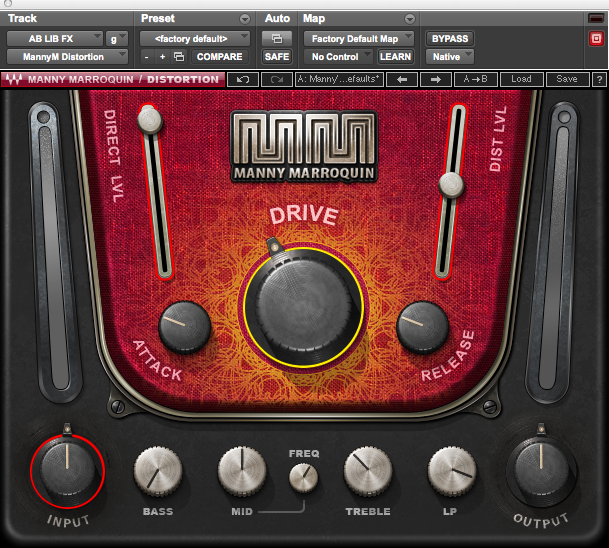 Above is Manny’s distortion from Waves. In conclusion, make your ad lib sound count, and make it one-of-a-kind . The ad libs are a unique canvas in the mix where detail and technique matters! Let’s face it, with the convenience and quality of modern DAWS , plug ins, and virtual instruments, it’s hard to justify spending a fortune on physical analog gear. Digital (computer) processing has become so good that using the right plug ins and techniques, can yield a surprising (and convincing) analog sound . I’m going to show you just a few ways to bring the pleasing qualities of analog in that sterile digital recording. One way to add warmth to your digital sounds is running them through some analog modeling plug ins. Instead of grabbing that stock Pro Tools compressor, try using plug ins like the CLA2A from Waves (modeled after the infamous LA2A compressor), or the SSL bus compressor. You’ll find these compressors will react a little differently than a stock digital compressor, and tend to have more coloration, more natural saturation, and a bit more noise (all characteristic of analog) to add to the signal. For EQ, Waves also offers an API parametric EQ modeled after the modules in their analog consoles that sound great. Actual analog EQ will add harmonic distortion (more on this later) simply because they are slightly non linear, where digital EQ can introduce harmonics not related to the fundamental which sound unnatural when pushed hard. But you’ll notice when using the digital versions of the EQ, in particular the API EQ, that they took the non linear harmonic distortion of the actual unit into consideration when designing it, and as a result more closely resembles an “analog” sound. Another simple way to warm up a track is by subtractively EQing some high end content . Rolling off, or reducing some unwanted highs (specifically the harsh 4khz -8khz range), can add a smoothness to your track that analog processing naturally gives. Also , experiment with de-essing things other than vocals such as cymbals, guitars (renaissance de-esser works great) to have a similar smoothing effect. Take some time, learn the characteristics of each plug in. You will be able to utilize and control them much more when you do. A common problem with digital sounds , is that they sometimes lack harmonics that analog naturally adds from it’s physical circuity. Even simply running a sound through an analog console will add pleasing harmonics related to the fundamental pitch by the time it reaches the end of the circuit. 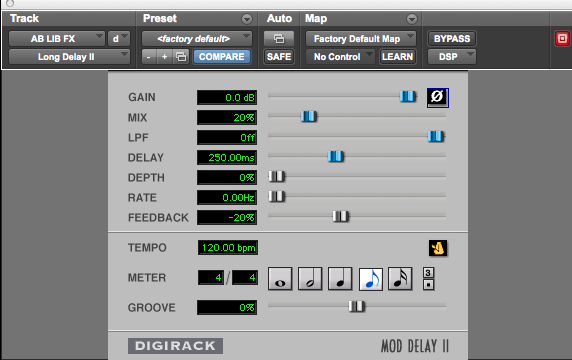 There are a couple ways to add harmonics to a track in the digital domain. A go to plug in I use to add a bit of harmonics or grit is the Lo Fi by Waves. Even with just a small amount of the saturation or distortion or bit/sample rate reduction , you can introduce new harmonics to give the sound a ton more analog character. Another favorite of mine is the Kramer Tape emulation. Achieving a similar sound as the Lo Fi, in a slightly different way (tape compression, instead of bit and sample rate reduction), you can add tons of warm harmonics that a real tape machine would reproduce. Adding harmonics in this way can also be referred to as adding distortion to the signal. 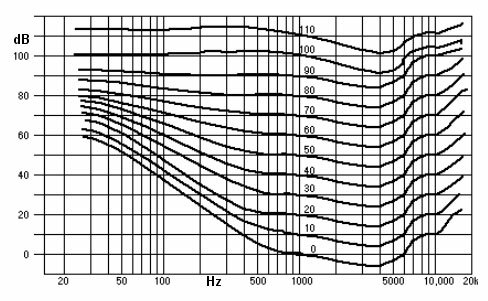 Some people think of distortion as a negative thing in audio (especially in the digital domain), but when used subtly can not only make the sound more rich and pleasing to the ears, but it can increase the subjective loudness of it as well (by shifting the perceived frequencies closer to our sensitive hearing range). …So if you want to make your mixes appear louder…hint hint. In a modern digital system the noisefloor is pretty much close to complete silence. This can be looked at as a good thing if you want crystal clean sounds, but one of the pleasing qualities of analog is that it is not clean but in fact a little dirty. So bring up a sample or generate a sound of white noise, vinyl noise, or background hum, and put it in the background of the song so that it is just barely audible. The way I usually add noise is through a free plug in by iZotope called Vinyl. Just put vinyl on a separate track (so you can have better control over it), increase the “mechanical noise”, roll off some of the low frequencies with an EQ, and have it sit quietly in the background. Aside from the noise sounding aesthetically pleasing, and adding to the overall harmonic content of a song (increasing subjective fullness), it also fills in gaps of a song that cut out to silence (drops, breaks). Hearing complete silence in a digital domain really just tends to sound strange to our ears, especially after or before a full spectrum of sound. This weirdness is most noticed on headphones where your ears are blocked off from outside noise (giving the impression that for a split second you think your wearing ear plugs!) We like a noise floor and hear it every second of every day. It not only adds an analog quality, but it also adds a very desirable human element. These are the basics of how to make your digital tracks sound more analog using digital plug ins. There are even more things you can do (adding tape wow and flutter in some cases for example), but these are good starting points to bring a little more analog flavor into your digital tracks. Play around with the different combinations, listen to analog recordings, and try to mimic them, you’ll find that you had the tools to do it this whole time. For rates on recording, mixing, or mastering or for general questions please send us email at Studio11chicago@gmail.com , or contact us directly at (312) 372-4460. A good mix of a song is what helps the listener better connect to a piece of music and can have a dramatic impact on its overall success. While again, there are no wrong ways to mix a song, there are certain mix philosophies and methods that are common among many good mix engineers and styles of music.